“damn!” he cursed under his breath. his teeth clenched for an instant. fire glinted in his irises, his lips tightened. “dammit!” he hissed. there was an ache in him. he swallowed. the ache stayed where it was, somewhere to the left of his toned chest cavity… he hadn’t felt anything around that region for too long, he glared, it was uncomfortable and insistent, extremely irritating. he slammed shut the laptop. why did it matter? why couldn’t he just carry on with work? as he always had. work. it saved him. it nurtured him. it gave him meaning and focus. “why am i feeling like this?” he put his head back on the back of the chair and shut his eyes. his face set taut, a gaunt, tired look on it. he swallowed again and his adam’s apple moved ever so slightly as though gliding over emphatic, churning pain. he breathed in deeply, thoughts running amok in his head now. again he stopped his thoughts. “pagal!” he said out loud. a soft gentle whisper the breeze picked and carried into the air rushing toward the waves past the frangipani tree. the moment the word was out, a strange calm filtered into that recalcitrant part of his chest which was most uncomfortable. he breathed in deeply again and picked up the phone. khushi went running into her villa, still feeling terrible. she splashed cold water on her face and decided to have a wash. there was nothing a cold refreshing bath and a quick chat with devi maiyya couldn’t cure. yes, that’s what she’d do. she was not going to let anyone, especially that horrible laad governor, spoil her mood. “nahin, khushi kumari gupta!” she spoke out loud to herself, “you are not a weak sniveling idiot, you are from lucknow, yaad hai na! and from middle class, tough, lucknow. samjhi tum! don’t let these spoilt dilli people get to you. they think because they have some money, they have bought you over. hawai jahaaz! huh! my bajaj scooter, that has more wings than your pretending-to-be-a-bird plane… bua ji! you were much better off with phupha ji and his iskooter!” she was so furious with him she could feel tears of rage prick the back of her eyes. she burst into tears and flung herself on the bed. mami ji was in a royal huff. her one and only son had betrayed her so badly. how could he even think of marrying that… that middil killass, bahutai aardinary, nats fair, nats reech, nats booty queen girls! how how? akas bitwa was her only son, how could he not think of her and her desires even once… not once? no one in this family cared for her, manorama could feel tears streaming down her cheeks as she thought this. especially her husband, he just went along with whatever his mother said, he didn’t even ask her sometimes… more tears welled up… he used to love her so much, like her pet he used to be, more than that meh meh lakshmi, always “haan manorma, kaho manorma,” he would would follow her around. what happened to that? how slim she had kept her phiggers, how much englees she had learned, why was he so mean and nasty to her then… had he seen how fat his best friend gajju’s wife had become! manorama shook her head and made a little moue with her carmine red lips. her black kohl lined eyes with a layer of false eyelashes and several layers of blue eye shadow filled with self pity. she gazed at the mirror quickly to see the effect. she had sat down to a good bout of touchuppiya of her makeuppiya, another thing the family just did not understand at all… hello hi bye bye… and all these thoughts started plaguing her. what was she to do, how would she save her bitwa from the clutches of that witch from lucknow… mami ji was about to cry again when the phone rang. “hello, manorma ispikeeng! e-es?” she said in sugary dulcet tone, looking at her reflection and striking a haughty pose. must be one of the ladeej kilab ladeej, talking about the upcoming fasson so. “mami?” asr’s voice was brisk and matter of fact. “ohhh, arnav bitwa, my dears, you kaalings me, phirst thing in maarnings, tells me tells me, bhat eej eet you wants?” manorama had a special regard for her nephew. he was strong, he was clever, and he could make money… best of all, he knew how to handle power. all these traits manorama had found exciting ever since she could remember. it often amazed her how for a life mate though she had chosen a gentle, good hearted man, instinctively knowing that would work, though why she had no idea. “mami! i believe you are not happy about akash wanting to marry payal,” asr came straight to the point. “n..naahin.. i means… arnav bitwa!” and mami started crying. “mami. please stop crying. tell me what is the problem?” his completely unemotional even tone got through to her instantly. she knew arnav bitwa was in no mood for extra taalkings hello hi bye bye. 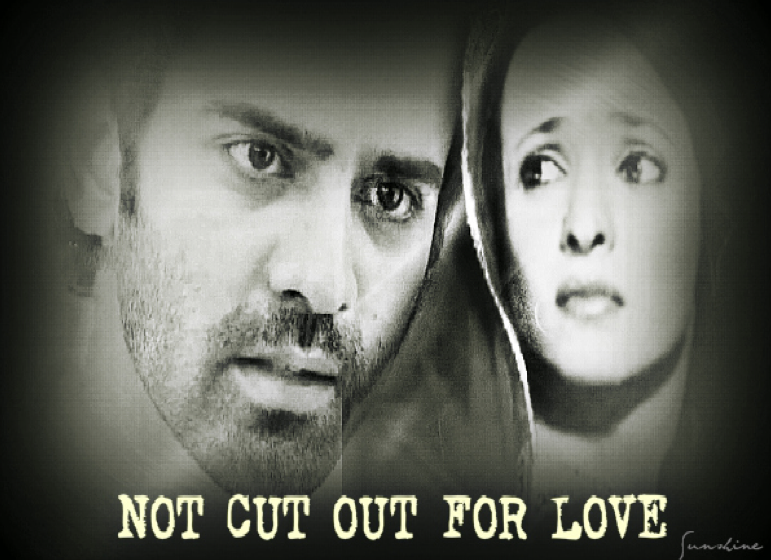 “mami, akash wants to marry her and i think it will be profitable for you if you let this deal go through…” asr cut in. “dealwa? kaheka dealwa?” mami was nonplussed. deal? what deal? “mami, marriage is really just that,” there was a slight snigger in his voice, “see what you can get out of this marriage instead of what you might or might not lose. gain may outweigh loss. you are not marrying payal, so what she looks like does not really matter to you. let akash worry about payal’s plainness,” he spoke in his no nonsense business like way, and the talk of loss and profit got manorama’s attention immediately. “akash really wants to marry this girl. if you as his mother, point out the difference in their backgrounds calmly, then be big enough to accept it, you know don’t you, that akash will be grateful forever? more importantly, mami,” he paused letting her focus more keenly, “nani ji… nani ji will look at you with exactly what you crave… respect. and once that happens, you know you will have the status of the wise, first daughter in law of the family which can only be of use to you… mami, i don’t care who akash marries or doesn’t, but if you are canny, you will realise this is the perfect moment to turn the tables in your favour… ” he let his voice trail off. he had a fair idea as to what mattered or didn’t to his aunt, he also knew exactly how sharp she was in assessing opportunity. “bitwa,” mami’s voice sounded almost meditative, “eeph you say, and eet ees good phor my akas bitwa, then phor hees sakewa… i weel thinks about its.” mami entered the game and refused to capitulate without establishing her position. she didn’t see the mercurial flicker of her nephew’s eyelids. he knew he had scored. “yes, mami, do think… and i’ll see you soon,” he put the phone down. mami turned to the mirror once more and struck a regal pose… yes… she would look like this maybe when she talked to them about her considered opinion on that nats fair nats reech bhery bad nooj. hello hi, she arched an eyebrow, bye bye. before payal could say anything much, khushi had rung off. payal’s brow furrowed, khushi was sounding down. must be tired, payal thought, brushing aside the little worry that sprang to her mind. “i am so happy,” khushi looked into the mirror over the basin and gave herself a wide and frothy smile then splashed back into the tub sprinkling a handful of bath salts into the water. she leaned across again and picked up the bath foam which came in a pretty pale green bottle and emptied it all into the water, then set about making suds. 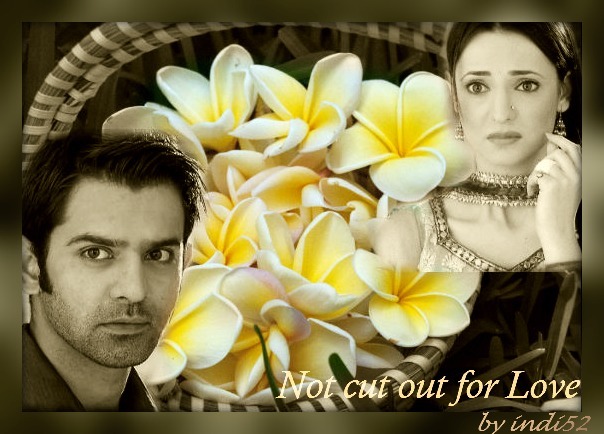 “di!” asr always had an eager note in his voice when he called his sister. “chhotey?” anjali smiled, he had called before she made her usual call. “everything okay? good, di, please will you tell motilal jewellers to come over with some gold jewellery and let mami choose something for herself. whatever she likes,” he sounded almost curt. mami ji had given almost all her jewellery to chhotey when he started his business, she knew he had a feeling for mami that he did not like to talk about, he just let mami have what she liked whenever he could. she was singing loudly as she lay in the water, so she missed the knock the first time. then it came again… a series of staccato raps on the door of the bathroom. impatient they sounded. khushi’s eyes widened. who could it be? and had she remembered to lock the bathroom door! the knock was repeated, now louder. khushi sank further into the water and under the cover of white, cottony, soft foam. she was sure she had shut the main door. was it a… ghost? one of those chudails that inhabit trees, bua ji knew some stories of chudails who lived in champa… frangipani trees. oh no! khushi almost screamed with fear, her heart began pounding, and her hands and feet went cold right there in the hot water. “khushi!! khushi!! 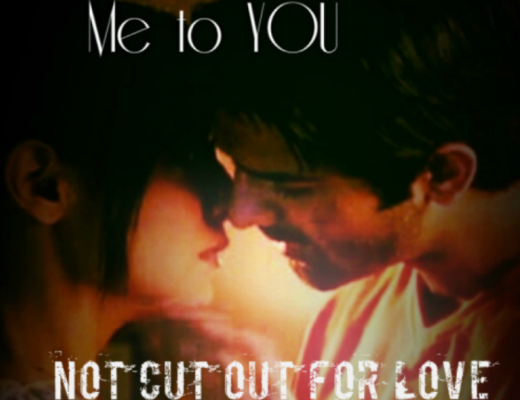 !” asr’s voice came through the door, he sounded worried. and impatient. how could it be him though?? !… he was not able to walk this distance… it must be a frangipani chudail mimicking his voice trying to lure her. khushi’s teeth began to chatter in fear. “what nonsense are you talking, khushi?” the door of the bathroom had opened and asr was standing in the doorway, a crutch under one arm, he was looking at her incredulously. “aaa!” khushi screamed embarrassed and scared and affronted and shocked. she was stark naked under the foam and the rakshas was standing there staring at her! hey devi maiyya, raksha karna. “aaa… aaaggey mat aaiye..” she stammered and blinked trying to clear the water droplets still clinging to her lashes. “kyun?” he sounded really offensive… khushi looked at his face, frowning… no, hey devi maiyya, the devil was smiling slightly. smiling. the nerve of the man! she gaped as he stood casually leaning against the door jamb, not budging. then he smirked. a full, left corner of lip angled up, eyes going browner and more chocolatey, head tilted at a rakish angle smirk. khushi felt her heart somersault and she hurtled right under the water, eyes tightly shut. this man would be the death of her, hey devi maiyya. she hated him. he was mean… she hated him. she felt something land on the edge of the tub and came up spluttering and blinking. it was a bath robe. the next instant, the door had shut and she was alone. khushi was not in the best of moods when she came out to meet him. her suitcase was lying in the room, she realised she had forgotten it in her hurry. so rakshas had managed to get it here… but how? had he hobbled along all the way, with the suitcase? then khushi told herself to stop being silly, this was a hotel, he would have called for help. and if he had been careless enough to walk all the way, his wish, she was not going to feel bad about it. 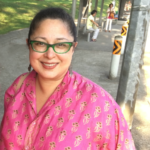 she was wearing a fresh mint green churidar kurta with highlights in strawberry pink. silver gota and light green pompoms shone and bobbed as she moved. her hair was still wet, so she had left it open. she was sure she looked a mess, but she did not care. she would tell him she had had enough and she wanted to go back to delhi now, this minute… he could stay here or come with her or whatever. why was his voice so even and calm? and how did he always know what she was thinking? jadoo tona… must be. he thought he could tell her anything and she’d accept it just like that, did he? khushi seethed and continued to stand where she was. “please will you sit,” he said again. khushi made a face and sat down on the sofa nearest her. the patio had a long sofa for two on which he was sitting, his crutches propped up next to him and there were a couple of single sofas on either side of it, a large cane coffee table sat in the centre. the sofas were done in beautiful dark shaded batik and the cane was polished with a light varnish. a tall vase with fresh pale white lilies sat on the table. khushi looked at them grumpily. asr gestured to her to come and sit on the sofa next to him, “won’t you sit here?” his eyes were gleaming, bright brown and intimate. “nahin… i am fine here,” she returned in a terse voice. “in case you’re wondering how i got here…” he started. 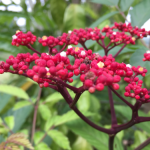 “… i took the hotel buggy, i did not walk…” he carried on as if he hadn’t heard her. she fumed and kept quiet. a part of her though was relieved he had not walked all the way. “khushi, will you please sit beside me?” there was a note in his voice that made her look straight at him. his face was without expression almost and his voice was simple, no innuendo or hidden strain in it… khushi started, what was the matter, she had never seen him like this. she got up quietly and went and sat next to him. still turned away from her, his eyes darkening and raging, he went on, “i don’t like to see you looking sad. i don’t like being away from you. 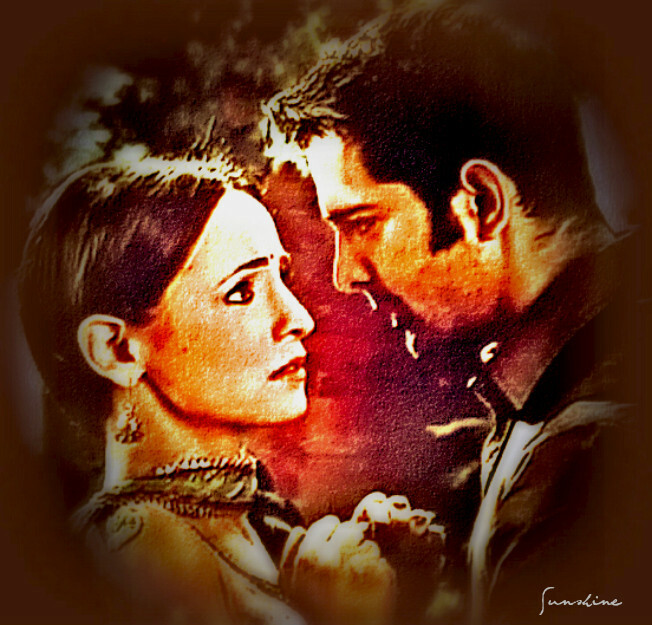 i feel something i haven’t ever felt perhaps… when i see you… or hear you,” his voice did soften, “when i hold you… or when you laugh and giggle and eat… khushi, you eat so much!” he seemed to laugh, his shoulders shook a bit. there was silence on the patio… you could hear a petal drop. he turned to her slowly. his eyes were dark, molten chocolate, his breathing had become shallow, he looked tense, almost in agony. he breathed slowly out and then in a deadpan voice said, “i don’t believe in marriage… i can’t. and i don’t know what love is… i don’t think i can ever feel such a thing anyway…” he sat quietly with his eyes closed, his breathing still laboured. khushi stared at him, her heart went dhakdhak dhak dhak, she had no idea why her head was swimming. maybe she was going to faint. “tum theek ho?” he leaning close, looking concerned. khushi stared back at him, numbly. then she felt her right hand rise and wonder toward his face, she touched his left cheek just below the temple, his eyes closed involuntarily, and there was a slight movement of his lips. she let her hand settle on his cheek, feeling the graze of his stubble, the suppleness of his warm skin. was he pressing his face into her cupped palm? she breathed out slowly, then almost propelled by something outside her, went closer and let her lips rest on his cheek bone, did he shiver a little? she pursed her lips and pressed against his skin, kissing him, then she bit him lightly, her arms went around his neck and she just simply said, “arnav ji!” against his face. her voice spoke of feelings she still had not put into words. he murmured incoherently and drew her to him. turning toward her he softly kissed her temple and tucked her head on his shoulder, stroking her wet hair, inhaling the fragrance of her just washed tresses. he took her her left hand and brought it right up to his chest where he could feel his heart beat at a somewhat hastened pace, and let it rest between them. khushi wondered why he didn’t believe in marriage, why he felt he could not love… she wondered why she did not feel any embarrassment to touch him, to kiss him, to lie so brazenly in his arms. she tightened her hold on him, he said, “that badly, huh? involved i mean…” she could tell he was smirking. she felt his thumb and forefinger tuck a lock behind her ear. then he bent closer and kissed her ear lobe. the phone of course had to ring just then. khushi jumped, disoriented, she had almost forgotten where they were. as she got up, her swathe of hair swung and brushed against his face, the wet strands sticking to the planes and angles of face. his breath caught in his throat as he stared at her innocent flushed face, completely oblivious of his gaze. she grabbed the phone… it was jiji… oh no, was something wrong, why was jiji calling again. asr watched khushi’s expressions, then he grabbed her hand and pulled her to him. “jiji! what has happened, is everything okay?” khushi sounded tense. “arnav ji, mami ji agreed… she agreed… i don’t know how it happened…” she was babbling now. “will you have lunch with me at the restaurant today? and then come and sit by the water with me?” he asked as he kissed and nibbled her lips, pushing his mouth against hers, playing. she nodded happily. i am hungry, she thought. Finally Khushi is hungry!! and all is well for her..And the chudail cracked me up..
thanks 😊. yeah so so young and that jawline, the look in the eyes… you’re so right, can’t be recreated, just can’t. to pagalness, hamesha.